Fortuna Dusseldorf vs Nurnberg predictions for this weekend’s German Bundesliga. Promotees Dusseldorf and Nurnberg go head to head at the Merkur Spielarena on Saturday evening. Read on for our free betting tips and match preview. After ending 2018 with three consecutive wins, including a surprise 2-1 win over Bundesliga leaders Borussia Dortmund, Dusseldorf have, by their expectations, continued their encouraging form in 2019 so far. Coach Friedhelm Funkel will be ok with defeats such as last weekend’s 2-0 away to Leverkusen or the 4-0 one at home to RB Leipzig at the end of January as his side are getting results where they are supposed to. Seven points from five games since the winter break (W2 D1 L2) – wins coming against strugglers Augsburg and Stuttgart – sees them now ten points above the danger of the relegation zone. Nurnberg are their opposition on Saturday, and this fixture is a crucial one for them. Michael Kollner’s men managed to hold league leaders Borussia Dortmund to an impressive 0-0 draw on Monday, but that doesn’t take away from the fact it’s been 16 games since they last recorded a win (D5 L11). Nurnberg were, at least, knocked out of the German cup in the third round at the start of February, so league survival is now the sole focus. However, that looks a tough ask. Even the return of star midfielder Hanno Behrens from injury – top scorer in their 17/18 promotion-winning season – is yet to be the answer. Saturday’s meeting between Dusseldorf and Nurnberg sees last season’s promotees collide, and we feel, as meetings between them have been in the past, this game has goals in it. Only Hannover (47) and Stuttgart (50) have conceded more than Nurnberg (46), and interestingly, despite their contrasting league positions, the hosts’ numbers aren’t all that much better. Dusseldorf have conceded the 4th most goals of any Bundesliga side, also keeping just one clean sheet in their last five – that coming against the Bundesliga’s second weakest offense, Stuttgart. Nurnberg have failed to score in each of their last two league outings, but the first of these came away to Hannover, where they had a man sent off early, and the second came against Dortmund. Before that, Nurnberg had scored a single goal in three consecutive games, and against a defence as mediocre as Dusseldorf’s, it’s not too much of a stretch to think they could return to scoring ways here. However, it would be unreasonable to expect them to replicate the sort of numbers that other sides have inflicted on them. Dusseldorf’s own scoring form has seen them score two goals or more in three of their last four home outings, including against league leaders Dortmund, and against a Nurnberg defense that has conceded the same number in each of their last eight away days, it’s hard not to fancy them to come away with the win. Our prediction: 2-1 Fortuna Dusseldorf. Fortuna Düsseldorf have lost their last five Bundesliga meetings with Nürnberg. 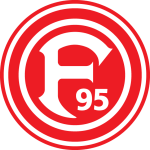 It’s currently their longest run of League defeats against a side, while a sixth consecutive loss would be a first for F95 against a top-flight team. FC Nürnberg have won each of their last five Bundesliga games against Düsseldorf. 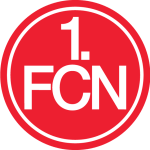 The only team FCN have gone on a longer winning run against in the top flight is FC Köln (6 games from August 1993 to March 2006). The meeting between Düsseldorf and Nürnberg is matchday 23’s Saturday evening fixture. It’s the first time two promoted sides have gone head-to-head in that timeslot since it was introduced. Düsseldorf’s tally of 25 points has them sitting 10 points clear of 16th – Fortuna actually had an 11-point advantage over 16th after 22 games in their last top-flight campaign (2012/13), but still ended up being relegated. Düsseldorf have won four of their last six Bundesliga home games (2 losses), having previously claimed just one victory in their opening five. Nürnberg haven’t won any of their last 16 Bundesliga games (D5, L11) and would equal their worst club record from the 2013/14 campaign should they fail to pick up all three points this weekend. Nürnberg are experiencing their worst Bundesliga season ever, having collected just 13 points from 22 games. All 12 top-flight sides to have had a maximum of 13 points at this stage ended up being relegated. Nürnberg have collected a league-low two points from their 10 Bundesliga away games this season (D2, L8). Together with Hannover (D4, L7), FCN are one of just two teams yet to record a win on the road this campaign. Nürnberg have scored a league-low 17 goals this season and have only found the back of the net in three of their last nine games. No other team has scored as few Bundesliga goals as FCN during that period (3). Nürnberg’s Christian Mathenia hasn’t won any of his last 21 Bundesliga games (D9, L12). The goalkeeper holds the longest ongoing winless streak in the top flight among all current Bundesliga players.